The World Wide Hearing Foundation (WWH) and the Hear the World Foundation are launching a hearing screening campaign – to work towards the prevention of hearing loss and to support early identification of school children with hearing loss. Peru has more than 30 million inhabitants. According to a study from the National Institute of Statistics and Information, 532,000 people are affected by hearing loss. Access to hearing health care in Peru is limited. Much hearing loss remains unidentified for several reasons: the lack of newborn and school hearing screenings, an insufficient number of hearing health professionals, and the high cost of equipment. That is why the World Wide Hearing Foundation and the Hear the World Foundation launched a broad hearing screening campaign in 2016 to work toward preventing hearing loss and to support early identification of schoolchildren with hearing loss in Peru. 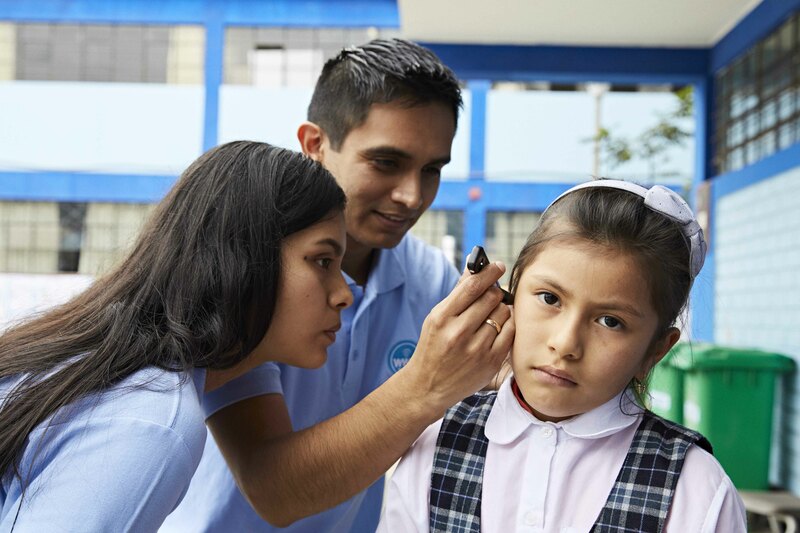 The Peru hearing screening campaign developed by World Wide Hearing uses mobile technologies to conduct hearing screenings quickly and easily, and trains local personnel (speech therapy students and teachers) to become audiology technicians. The technicians conduct hearing screenings and learn to identify the warning signs of hearing impairment. The trained technicians and speech therapy students will conduct hearing screenings together with Hear the World volunteers at schools in Peru. The exchange between the volunteers is very important. They not only transfer expertise but can also discuss different points of view on a professional and social level. The goal of the campaign is to screen roughly 30,000 students aged five to 18 for hearing loss. In 2018, for the first time, the team screened children outside of the main city, which required them to drive nine hours away to Ayacucho. As part of the campaign, children who are screened and identified with hearing loss are given high-quality hearing aids from Unitron and Phonak as well as follow-up care. The donated hearing aids help connect children to their world, enabling them to escape social isolation and to reach their full potential. While conducting screenings in schools, data on the prevalence of hearing loss will also be collected. This will help to advance research on hearing loss in Peru. The data will be aggregated in the Global Hearing Loss Database and made accessible to the World Health Organization, researchers, and practitioners around the world. The goal is to make screening training modules an integral part of the university curriculum. Since 2016 this project is also being supported through Hear the World’s partner Vibes, which manufactures earplugs. A regular donation from Vibes made it possible to set up a clinic in Lima for following up children identified with hearing loss. 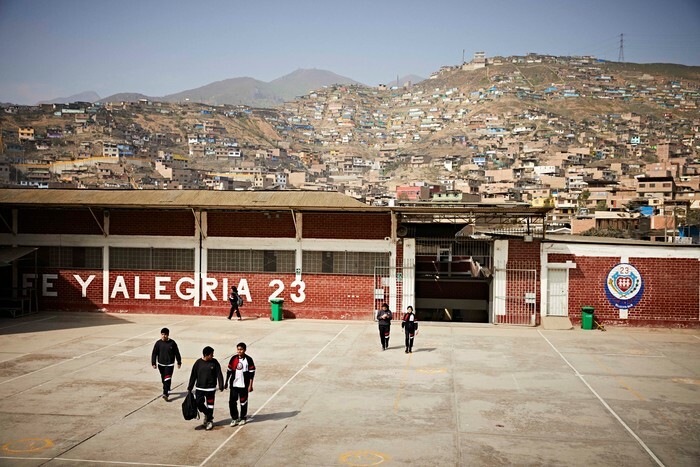 Additional donations support school screenings outside of Lima. Children at the Fe y Alegría school waiting for their hearing to be screened. “Raise your hand if you hear the beep!” In September 2018, 10 Sonova volunteers together with Peruvian speech therapy students screened more than 4,000 children in a week. The collaboration between the Hear the World volunteers and the Peruvian speech therapy volunteers is very important, as they can exchange points of view on both a professional and a social level. As part of the campaign, children who are screened and identified with hearing loss are given hearing aids as well as follow-up care. #HearPeru received the Hear the World Foundation’s annual Richard Seewald Award. 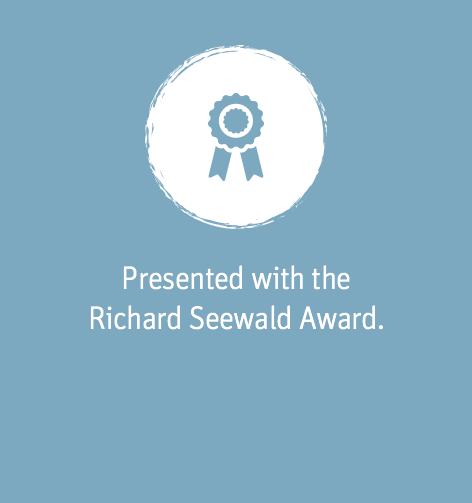 #HearPeru 2018 received the Hear the World Foundation's annual award named after Prof. Dr. Richard Seewald, who is well known for his tireless efforts in pediatric audiology over many decades. He is a distinguished University Professor Emeritus in the School of Communication Sciences and Disorders at the University of Western Ontario.